Welcome top Spodcast, the sports update on Firstpost. Former India cricketer Gautam Gambhir believes India should be ready to forfeit the final in the upcoming World Cup if it is against Pakistan. 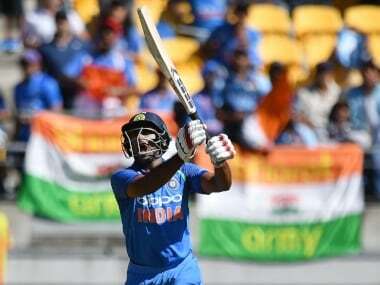 Following the Pulwama terror attack on February 14, in which more than 40 Indian soldiers lost their lives, discussions have been raging in cricketing circles around India boycotting Pakistan on the cricket pitch. Former cricketers from India have been divided on the issue of playing Pakistan in international cricket. While Sachin Tendulkar said he would hate to concede two points to Pakistan in the world cup, Gambhir maintains his stand that India must boycott Pakistan. The Pakistan Cricket Board has paid the BCCI approximately USD 1.6 million as compensation after losing a case in the ICC's Dispute Resolution Committee. 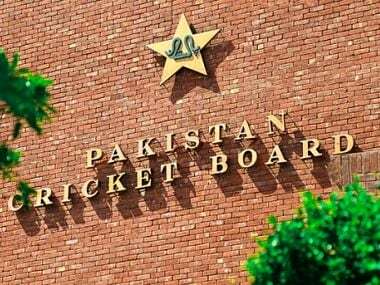 PCB had filed a compensation case against the BCCI last year for an amount of around USD 70 million on account of not honouring a MoU signed between the two boards. According to the MoU, India and Pakistan were supposed to play six bilateral series between 2015 and 2023, which the BCCI had failed to honour. 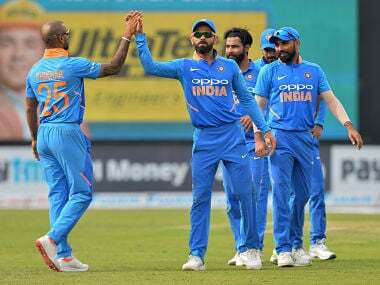 The Indian cricket board said they were unable to play against Pakistan as the Indian government did not grant them permission. India also dismissed the Pakistan board's claims as legally binding. The Board of Control for Cricket in India has said it will work with the National Anti-Doping Agency, or NADA, for the next six months. That decision is a major climb down from its previous position of not adhering to global anti-doping guidelines. BCCI’s office-bearers and Committee of Administrators (CoA) came to that conclusion after a meeting with ICC chairman Shashank Manohar. Essentially, the cricket board decided to come under NADA on the condition that its own chaperons will collect the urine samples, which will then be handed over to NADA. The World Anti-Doping Agency, or WADA, had clearly communicated to the ICC that the BCCI has to come under NADA's ambit so that the world body remains compliant and the matter was intimated to the BCCI during a board meeting in Dubai. In order to remain WADA compliant, a national sports federation needs to provide at least 10 percent of the samples for testing. The BCCI official said, “We would be providing samples as per mandatory minimum requirement which is 10 percent. It would include top national cricketers and a lot of first-class cricketers”. Indian tennis player Prajnesh Gunneswaran reached a career-high ATP rank of 84 after an impressive display at Indian Wells. In the recently released ATP rankings, Prajnesh had collected 61 points after reaching the third round at the ATP Master series event. He had beaten world number 18 Nikoloz Basilashvili to register the biggest win of his career. That win helped him move up 13 places to a career-best ranking. Meanwhile, Ramkumar Ramanathan dropped three places to 139 and Yuki Bhambri dropped out of top-200 for the first time in almost two years. Yuki is nursing a knee injury and slid 36 places to 207. The last time he was ranked outside the top-200 was in July 2017. The next best Indian players in the singles chart are Saketh Myneni, who is ranked 251, and Sasi Kumar Mukund who is ranked 268. Mukund, who was not even in the top-400 around five months back, has made good progress recently. In the WTA rankings, Ankita Raina is India's top-ranked player at 168 while Karman Kaur Thandi jumped seven places to 203. Indian boxing star MC Mary Kom says her decision to skip the Asian Championships is part of her plan to enhance her chances of Olympic qualification at a time when the competition in her weight category has become significantly "difficult". Mary Kom, who claimed her sixth world title last year in Delhi, will look to qualify for the 2020 Tokyo Olympics at the World Championships in Yekaterinburg, Russia. The Asian Championship is scheduled for next month in Thailand.